Friday, April 5 at 8 a.m. - Join Food of the North and the Cass Clay Food Partner for First Fridays at B on April 5 for a discussion on gleaning. We look forward to hearing from Nancy E Carriveau (Great Plains Food Bank), Janice Tweet (GleaND) and Joe Morken (Morken Farm). Friday, March 1 - In honor of National Nutrition Month, the March edition of First Fridays focused on food and wellness. We welcomed public health experts Michelle Draxten (Fargo Cass Public Health), Rory Beil (Clay County Public Health Center) and Mary Larson (North Dakota State University) to the stage to share perspectives on how the food around us shapes us. 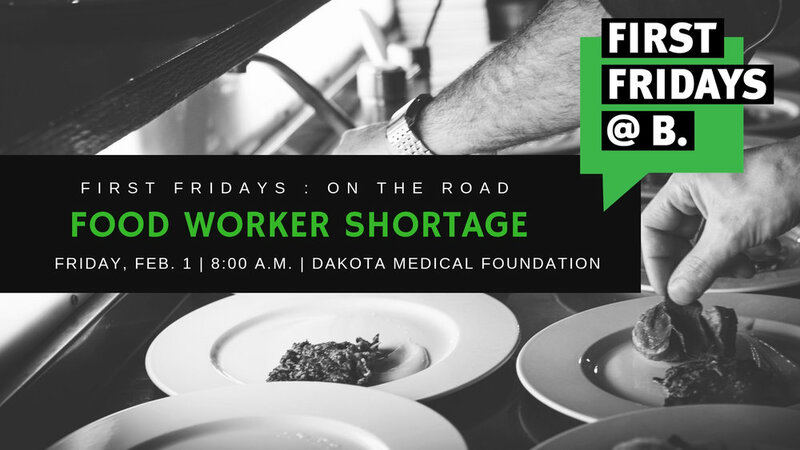 Friday, February 1 - Our third season of First Fridays kicked off with a special “On the Road” edition focusing on the food worker shortage in Fargo-Moorhead, our region, and beyond. Event featured Kyle Armitage (North Dakota State College of Science), Lisa Gibson (Sanford) and Nichole Hensen (Nichole’s Fine Pastry). 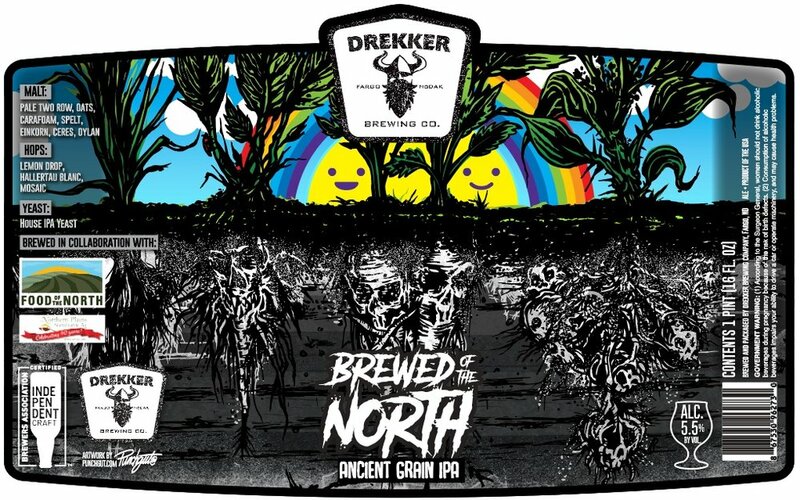 Friday, January 25 from 5:30-8 p.m. We’re collaborating with Drekker Brewing Company + Northern Plains Sustainable Agriculture Society for a special beer featuring locally-grown ancient grains! 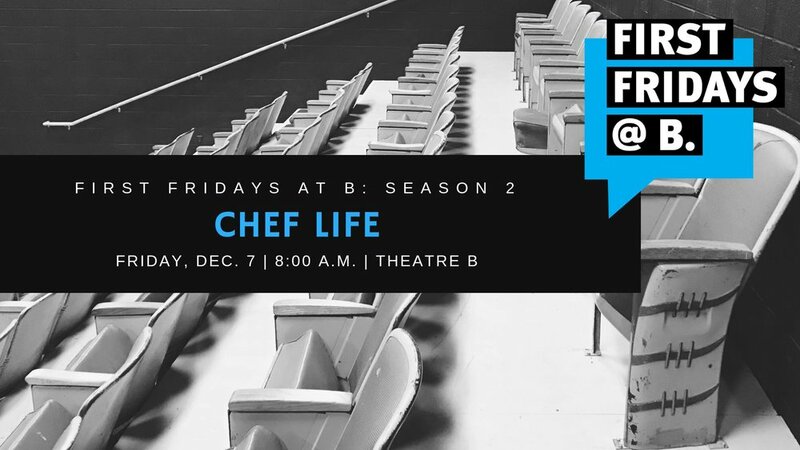 Friday, December 7 - Our final First Fridays of 2018 featured three local chefs: Andrea Baumgardner of BernBaum's, Patricia Hanson Vetter of Prairie St John's, and Travis Rosenbluth of Harvestable. Sunday, November 25: We partnered with our friends at Junkyard Brewing to host our second Leftover Junksgiving: A Celebration of Leftovers & Giving! Friday, November 2 - Our November First Fridays focused on the stories of farmers in and around the Fargo-Moorhead and featured Sam Rydell of Nurtured Plains Farm, Amber & Ross Lockhart of Heart and Soil Farm, and Jaclyn Weber of Folcstede Farms. 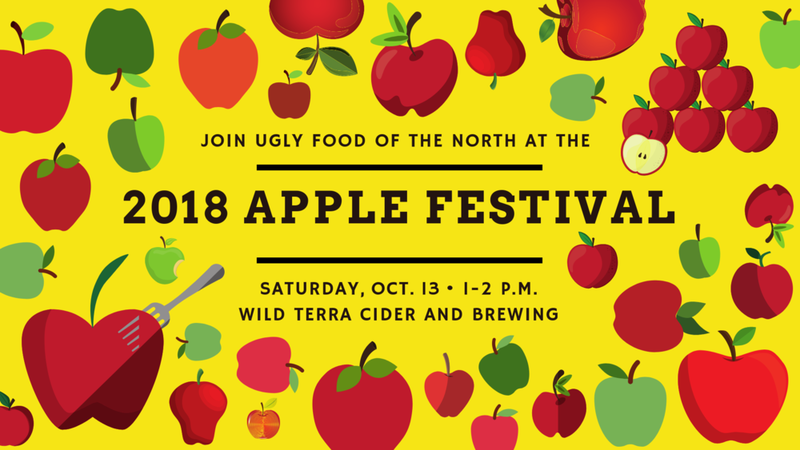 Saturday, October 13: Ugly Food Hour at the 2018 Apple Harvest Festival included a short presentation on food grading, and samples of three different types of apples. Special thanks to our friends at Wild Terra for providing us with delicious Fireside and Chestnut Crab apples! Friday, September 7 - Our second season of First Fridays at B kicks off with our September edition focused on hunger. The event will feature insight from Melissa Sobolik of Great Plains Food Bank; Andrew Flory of Dorothy Day Food Pantry, & Stacie Loegering of Emergency Food Pantry. Friday, October 5 - Our October edition of First Fridays at B focused on how food + commerce can build community. Event featured Joe Burgum and Simone Wai of Folkways + Founders/Organizers of the Red River Market. Sunday, September 9 at 2 p.m. - Join the Cass Clay Hunger Coalition and partners for a screening of the documentary A Place At The Table on Sunday, September 9, at 2 p.m. at The Fargo Theatre. Join us after the film for a post-documentary social & panel discussion from 3:30-5 p.m. at the Broadway Garage. 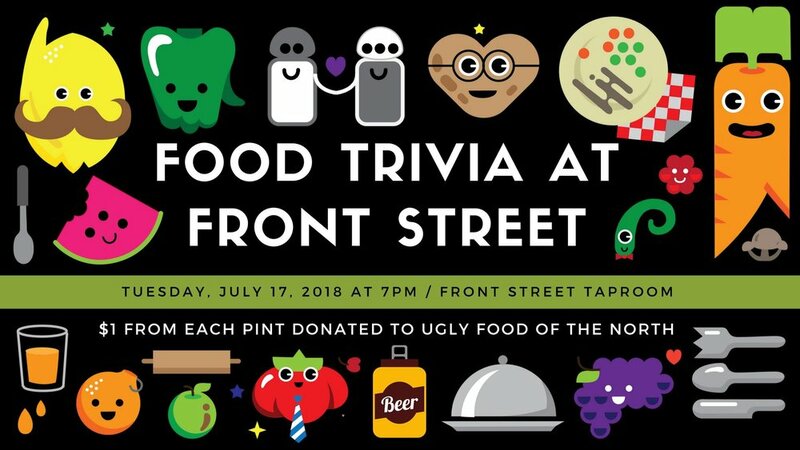 Tuesday, July 17 from 7-9 p.m. Brush up on your cooking and cuisine knowledge and join #FMuglyfoodon Tuesday, July 17 at 7 p.m. at Front Street Taproom for food-themed trivia! Prizes from our friends at Fargo Brewing Company, Junkyard Brewing Company and Pounds. 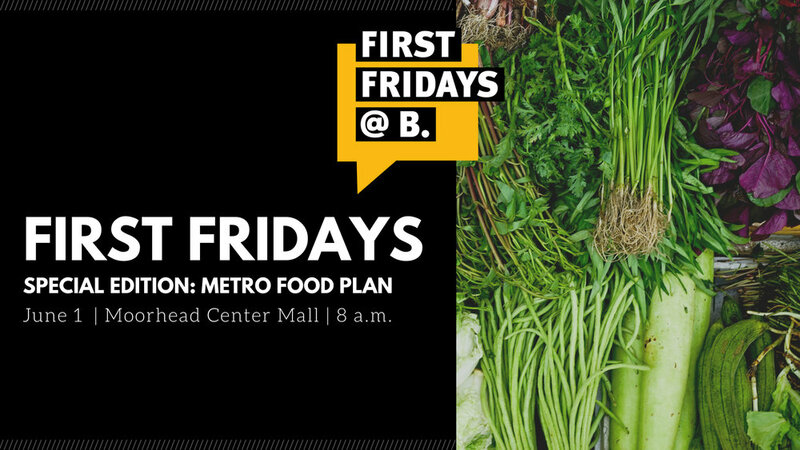 Friday, June 1, 2018 - Join Ugly Food of the North & the Cass Clay Food Partners for a special edition of First Fridays at B on Friday, June 1 at the Moorhead Center Mall. This meeting is the first in a series of opportunities to provide input and ideas for the Metropolitan Food Systems Plan. Doors open at 7:30 a.m. Programming begins at 8 a.m.
May 13, 2018 -Join Heart-n-Soul Community Café & Ugly Food of the North on Sunday, May 13 for a Community Cafe featuring Build Your Own lunch bowls! Event will be held at Fargo Cass Public Health from 11 a.m. to 2 p.m.
April 21, 2018 - Join the Little Free Garden project at the Red River Spring Market on Saturday, April 21 from 10 a.m. to 2 p.m. Reserve a pre-built garden or register an existing garden today! 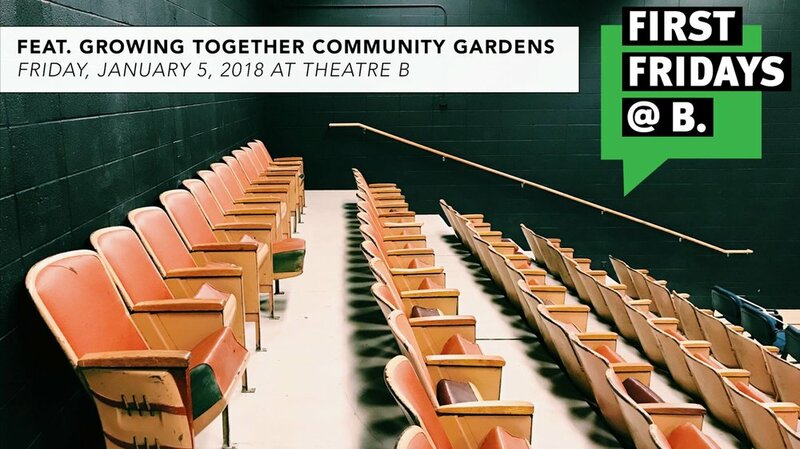 April 6, 2018 - Join us for First Fridays on Friday, April 6 [doors + coffee at 7:30 a.m.] at Theatre B. The theme of April's event is Incubator Kitchens & New Food Businesses and will feature presentations by Casey Steele (Square One Kitchen & Rentals), Jeremiah & Rachel Lea Utecht (Off The Deck Hot Sauce and Flannel Fizz) and Megan Lewis (Milk Made). March 27, 2018 - Join FARRMS, Ugly Food of the North & Cass Clay Food Partners for the Farmers Market Round Up - a FREE event to learn about farmers market opportunities in the greater Fargo-Moorhead area. December 2017 - First Fridays Food Action Network Meet-up at Prairie Roots Food Co-op encouraged people to get involved + learn more about event series, First Fridays at B.
October 2017 - Fall Community Potluck at Front Street Taproom celebrated the changing seasons and included lots of imperfect produce from Ugly Food Day at the Red River Market. September 2017 - Ugly Food Day at the Red River Market included a kids scavenger hunt and a Sanford Family Wellness Center demo + taste test featuring ugly food. August 2017 - Food Trivia at Front Street featured cooking + cuisine themed questions. July 2017 - Fargo Nerd Nite featuring our Megan Myrdal with "Get the Facts on Food Waste." June 2017 - More Taste, Less Waste hosted at Square One Kitchen Rental Space. Watch archived Facebook Live Video here! February 2017 - Community potluck at Drekker Brewing Company featuring Jonathan Bloom, author of American Wasteland and a prominent national voice in the end-food-waste movement. October 2016 - This event was co-hosted by Ugly Food of the North and Prairie Roots Food Co-op. Food For Change is an 82-minute documentary film focusing on food co-ops as a force for dynamic social and economic change in American culture. September 2016 - In September, #FMuglyfood were honored to be the UnPillaged organization of the month. Thanks to Drekker Brewing Company for the generous donation of $619! August 2016 - In honor of our inaugural season of the Little Free Garden project, we hosted an informal tour of local gardens. See our Little Free Garden map to find a garden near you. August 2016 - We partnered with Heart-and-Soul Community Cafe to take fresh food that would otherwise be wasted and made it into a delicious meal. The Community Cafe model invites anyone to come and enjoy the meal, regardless of ability to pay. July 2016: We hosted a membership drive for Prairie Roots Food Co-op because we believe the co-op supports our vision + dream for a more sustainable F-M food community (including a place to buy "ugly" food). June 2016 - Pop-up farmers market at Junkyard Brewing Company included vendors Boyum Farms, First Ave Promo, Four Seasonings Catering, The Garden Party, New Breed Brew Chews, Three Bears Honey Co., Woodchuck Community Farm, Sundog Prairie Farm, Robert V. Byrd (aka Rib Supreme) and Prairie Roots Food Co-op. May 2016 - Screening of "Just Eat It: A Food Waste Story" at the Fargo Theatre, followed by an informal social event at Proof Artisan Distillers. April 2016 - The Little Free Garden project hosted its first build event on Saturday, April 23 at Concordia College in Moorhead, Minn.
March 2016 - Ugly Food of the North presented "Our Story (so far)" at the FM Sustainability Network Meet-up at the Prairie Den co-working place in downtown Fargo. 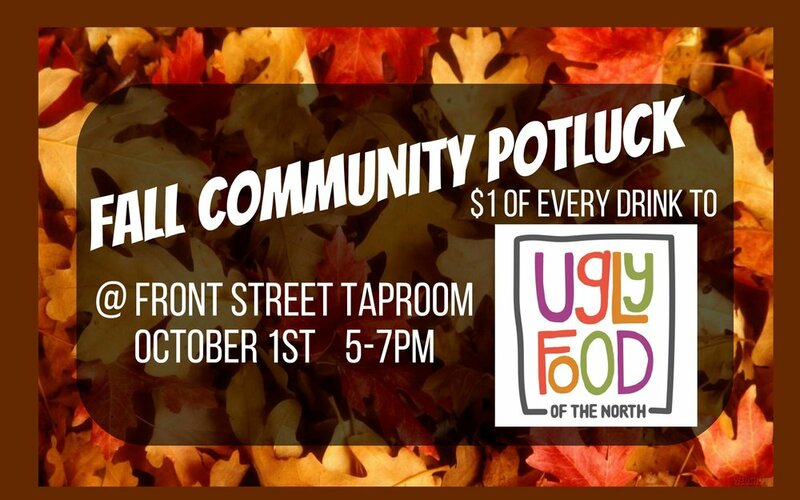 November 2015 - A Local Ugly Food Buffet at Everest Tikka House in Moorhead, Minn.
November 2015 - Leftover Junksgiving Potluck at Junkyard Brewing Company in Moorhead, Minn.
October 2015 - A Community Conversation on Urban Agriculture featured panelists Abby Gold (NDSU School of Public Health), Noelle Harden (University of Minnesota Extension), Travis Luthi (Three Bears Honey Co.), Whitney Oxendahl (Cass Clay Food Systems Initiative Steering Committee) and Kayla Pridmore (Woodchuck Community Farms). September 2015 - Our very first event was a community potluck at Drekker Brewing Company in conjunction with the Red River Market. This event was slated to be a one-time event - but our community showed up, and Ugly Food of the North was officially born.